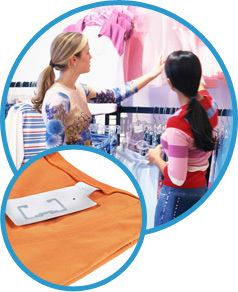 TAGSYS RFID, a provider of item-level inventory management systems for the supply chain, is rolling out a global deployment of its FiTS (Fashion-item Tracking System) integrated RFID system with international fashion brand, Façonnable. 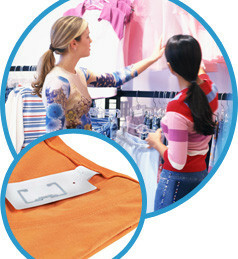 The deployment includes ultra-high frequency (UHF) garment hang tags, HHU-400 handheld readers, the SRU-400 point of sale reader, UHF Security Gates for theft prevention and TAGSYS’ e-ConnectWare software, which manages RFID data and provides an interface to back-office and in-store systems as well as enterprise applications. When items arrive at a distribution center or retail store, the merchandise is read as its passes through UHF portals positioned at a variety of checkpoints. As the events are recorded, the inventory is automatically updated within Façonnable’s management software. The implementation includes more than 70 branded retail stores, distribution centers on two continents, integration with third-party logistics suppliers, and coverage of the millions of items being sold by Façonnable and its retail partners.